The Bristol Pound is launching a new mobile app, unveiling the next exciting chapter for the city’s own dedicated currency. 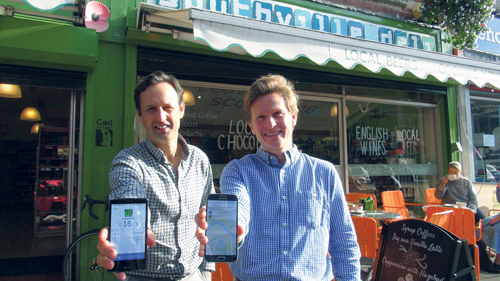 Already used by many Gloucester Road businesses and organisations across Bristol, this new digital wallet allows users to manage their account from their smartphone as well as make speedy payments to businesses which trade in the local currency. The app marks a significant development for the city in sidestepping commercial banks while also revitalising Bristol’s local economy. In recent years, Bristol has developed a reputation as a hotbed for Fintech; the term often used to describe the growing Financial Technology sector. Nic Hemley heads up the Bristol Office of UK software consultancy Scott Logic which developed the app pro-bono in partnership with the Bristol Pound. He said: “As a personal user of The Bristol pound, I have always endorsed the concept but I could see how the existing technology presented users with unnecessary hurdles and would prevent the currency from reaching its full potential. Creating an app such as this was second nature to us and allowed us to use our expertise whilst trialling some cutting edge open source technology. In 2012 the first paper Bristol Pound was spent by the Lord Mayor on a loaf of bread. Since then the Bristol Pound has become internationally recognised as a trend-setter in the local currency world, being the first you can use to pay energy bills and local taxes. Five years on, and five million Bristol Pounds later, the local currency has evolved.